EPCOT Center at Disney World had just opened, topping the Olympic Games for the record of the world's most trite, naive attempt at feigning peace and harmony on earth. "Star Wars Episode VI: The Return of the Jedi" was still being filmed, causing millions of dorks to have anticipation anxiety and ADHD. 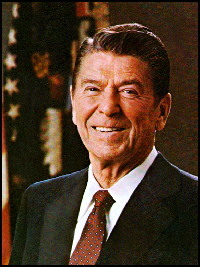 "Talk About that AIDS Thing" Memo was still in President Ronald Reagan's To-Do pile. At the age of only 8 months, future Pittsburgh Steelers quarterback Ben Rothlesberger committed his first sexual assault. Singer Carrie Underwood had just been conceived. People still had a certain degree of shame and self-consciousness when personal journal entries became public. First Lady Nancy Reagan was still cool with saying "Yes" to drugs.